Doctors: Can a Nice Doctor Make Treatments More Effective? Even a brief reassurance to a patient from a doctor might relieve the patient’s symptoms faster. In a recent study that one of us conducted, our research group recruited 76 participants to receive a skin prick test, a common procedure used in assessing allergies. The provider in this study pricked participants’ forearms with histamine, which makes skin itchy and red. Then, the doctor examined the allergic reactions. For some patients, the doctor examined them without saying much. But for other patients, the doctor had some words of encouragement. He told them: “From this point forward, your allergic reaction will start to diminish, and your rash and irritation will go away.” It turns out that this one sentence of assurance from a provider led patients to report that their reactions were less itchy — even though the doctor didn’t give any medication or treatment along with his words. Words alone from the provider relieved patients’ symptoms. This tells us that a physician’s words might be more powerful than we normally realize. And research shows that it is not only when patients are taking placebos that demeanor matters. In fact, provider words influence the efficacy of even our most powerful drugs and treatments. But as anyone who has been on the receiving end of a terse “You’re fine” knows, it’s not just what you say, it’s how you say it. In another study one of us worked on, we assessed whether the same words from a doctor influence patients differently depending on how warm or competent the doctor seemed. Again, patients received a histamine skin prick. Depending on what experimental group they were assigned to, patients met a provider trained to act in one of two very different ways. One group met the provider many of us dream of: she acted both warm and competent, calling patients by name, smiling, chatting and making eye contact. Her office was spotless, she spoke clearly and confidently, and she pulled off the medical procedures without a hitch. The other group, however, met the kind of doctor all too many of us have encountered: glued to the computer screen throughout the exam, the provider didn’t bother introducing herself and asked questions only to gather practical information. She also stumbled through some of the procedures in the messy exam room and sounded rather unsure of herself. Decades of robust literature on placebo effects demonstrate that, even without any active ingredients, this cream should reduce the allergic reaction. But no one had examined how the doctor’s demeanor might influence the effects of a placebo treatment. So, we saw that when the provider projected both desirable qualities of warmth and competence, her words had an effect. When she projected neither, they did not. What about a provider who seems competent, but not warm? One other group of patients met a provider who seemed highly competent but remained businesslike and distant throughout the interaction, and they did not respond to the placebo cream as much as when the provider acted warm and competent. 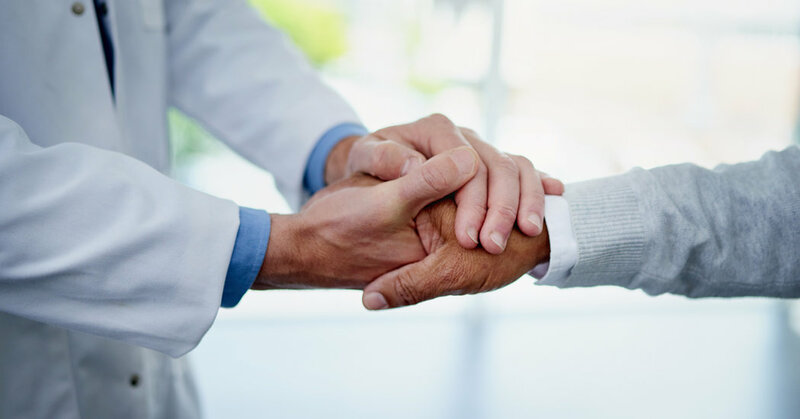 Patients of even the most accomplished and skillful doctors may benefit more when that doctor also connects with them. All of this research suggests that doctors who don’t connect with their patients may risk undermining a treatment’s success. Doctor-patient rapport is not just a fluffy, feel-good bonus that boosts Yelp reviews, but a component of medical care that has important effects on a patient’s physical health. Particularly as artificial intelligence promises a world where we don’t need to go to the doctor for minor questions, we should not overlook the value of interacting with a human doctor and hearing words of encouragement. And while physicians may worry that building rapport with patients requires too much time in a health care setting with visits that are already too short, there are simple ways to build warmth and competence — such as smiling, looking patients in the eye and asking their names — that don’t tax doctors beyond their limits. We often think the only parts of medical care that really matter are the “active” ingredients of medicine: the diagnosis, prognosis and treatment. But focusing only on these ingredients leaves important components of care underappreciated and underutilized. To really help people flourish, health care works better when it includes caring. Lauren Howe and Kari Leibowitz are social psychologists at Stanford University.